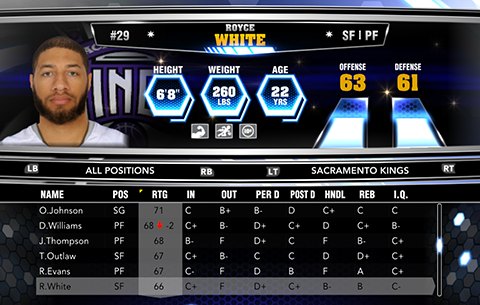 In the latest NBA 2K14 update released earlier this morning two players (Reggie Williams and Royce White) were added to the game. Injury status for many players are now reflected properly. It also include several increases and decreases in player ratings based on their recent performances. 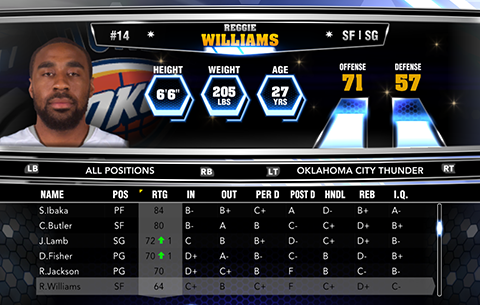 All in all, the new NBA 2K14 roster is stacked with changes. However six players remain missing from their respective teams. PC users: As noted in the previous update, the latest Online Data files have conflicts with old user-edited shoes causing the game to crash upon start-up. The only workaround that works for many people is deleting the shoedata.DAT file in your shoes folder located under AppData/NBA 2K14.